On this tour you can experience coastal and fjord landscapes and Bøyabreen glacier on the same day. 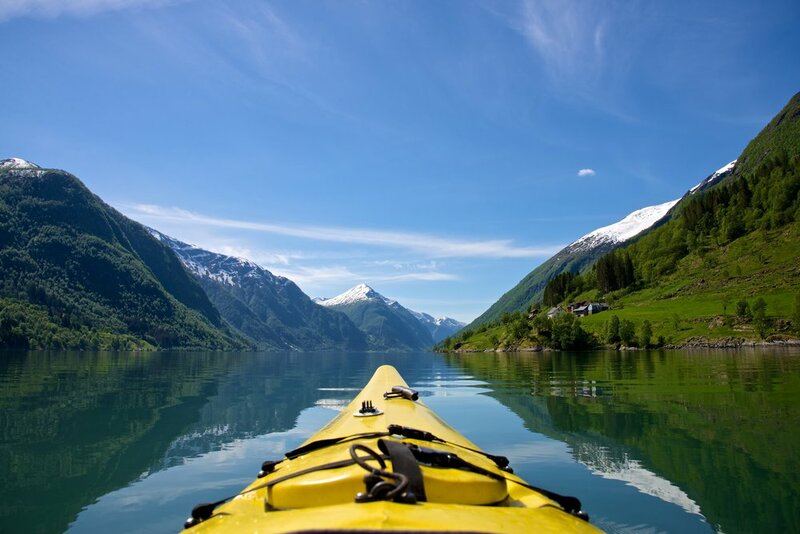 Your journey starts in Bergen, and you can enjoy the wonderful coastal landscape among islands, islets and rocks, as well as the world-famous long stretch of Sognefjorden on your way to Balestrand. On your arrival at Balestrand – a village that is a favourite among artists – you change to a smaller sightseeing boat that takes you further into the idyllic Fjærlandsfjorden to Fjærland. On the cruise from Balestrand to Fjærland, you may enjoy a good dinner, snacks and beverage while viewing the fantastic Fjærlandsfjord. On arrival Fjærland, bus will take you to the Norwegian Glacier Museum. The Norwegian Glacier Museum is an interactive museum for the Whole Family, who gives you knowledge about glacier and climate in a New innovative way. From the Norwegian Glacier Museum the tour continues up to Bøyabreen glacier – a branch of Jostedalsbreen glacier. Here You can take a few photos and see how the glacier presses itself into the landscape. The bus returns to Fjærland quay, and the tour goes by boat back to Balestrand and Bergen. Ticket: Bergen - Balestrand – Fjærland Round trip, Bus tour in Fjærland and Glacier Museum. The bus takes You to the Norwegian Glacier museum and Bøyabreen glacier and returns to Fjærland in time for departure with boat.